Indian High-Skilled Job Seekers Shifting Focus from U.S. To Canada - Canada Immigration and Visa Information. Canadian Immigration Services and Free Online Evaluation. October 25, 2018 – International high-skilled job seekers in India have shifted some of their focus away from the U.S. and towards Canada, a new survey shows. Jobs website Indeed says it has seen a drop in U.S. searches and a rise in Canadian searches from Indian candidates over the last two years. 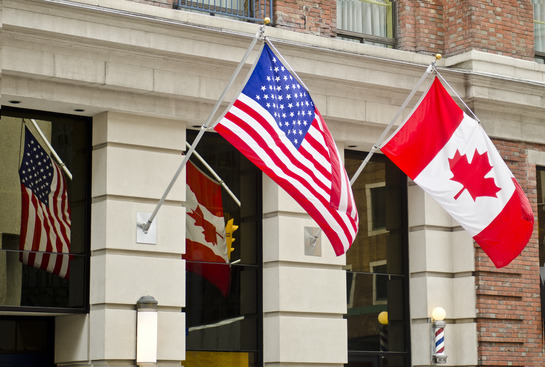 While Indians still search for jobs in the U.S. significantly more than Canada, the search data shows Canada closed the gap by 17 percentage points between August 2016 and July 2018. In that time, the immigration policies of the two countries have been polar opposites. The Donald Trump administration has overseen an immigration crackdown in the U.S. Meanwhile, Justin Trudeau’s Canada has set about increasing immigration levels, and making it easier for in-demand skilled workers to move here. The Indeed data shows the search switch from the U.S. to Canada is mainly only seen in the India market, although the survey did not include China as Indeed does not have a website there. The Indian trend could be down to the limiting of skilled worker visas in the U.S., at a time when Canada is targeting technology workers through its Global Talent Stream. As U.S. H-1B applicants find themselves mired in red tape, Canada is processing work permits for the most in-demand occupations in two weeks. The Indeed research focused on 58 countries, with Canada’s share of search traffic growing in 41 of them. In 25 of the 41, interest in U.S. jobs also grew, according to the data analysis. But for India, the difference was stark, with U.S. searches dropping from 60 per cent to 50 per cent of the total, while Canada searches rose from 6 per cent to 13 per cent over the two years. “This net 17 percentage point narrowing in relative search popularity was easily the largest swing among the countries we analyzed,” the Indeed report said. “To be sure, people in India are still more likely to search for work in the US than Canada, but the gap has narrowed. In terms of the job titles being searched, many correspond to those that are in demand in the Canadian labour market. Business analysts, mechanical engineers, software developers and project managers are all in-demand in Canada, and being search for by Indian candidates. At immigration.ca we offer our international clients top to bottom assistance in both immigration and employment. We provide individual clients with extensive legal counsel drawing on our more than 60 years of in-house combined professional experience. For employment, we give all our individual clients a comprehensive job search service through our in-house recruitment enterprises, www.skilledworker.com and www.grnmontreal.com. We will empower you on how to raise your profile including your CRS score in the Express Entry Pool. We do this by giving our clients extensive contacts to 500 Canadian employers, conducting a comprehensive job search which includes a live face-to-face tutorial on how to harness the power of LinkedIn, and revising their digital, online profiles to maximise their hiring opportunities. In short, we teach you how to find a job in Canada from overseas.